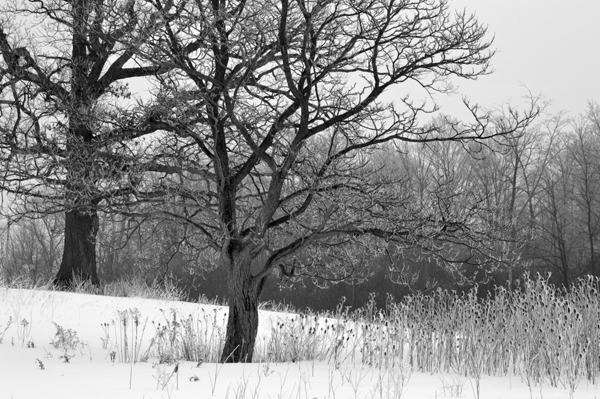 A winter view in the field. 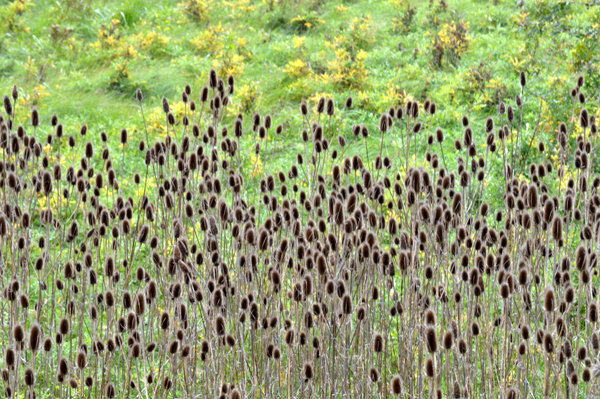 The fields are starting to fill with fall earth tones. 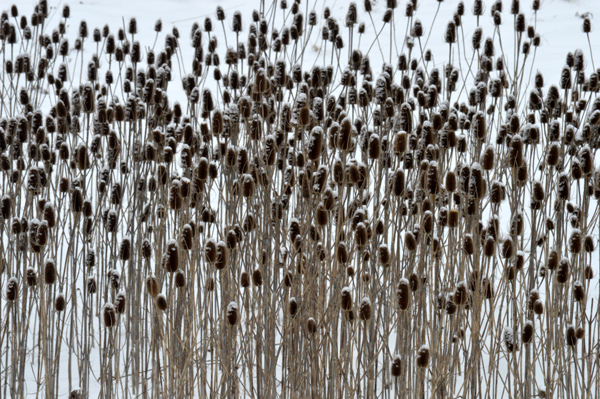 A big patch of teasels outlined in snow, stands out in the field. 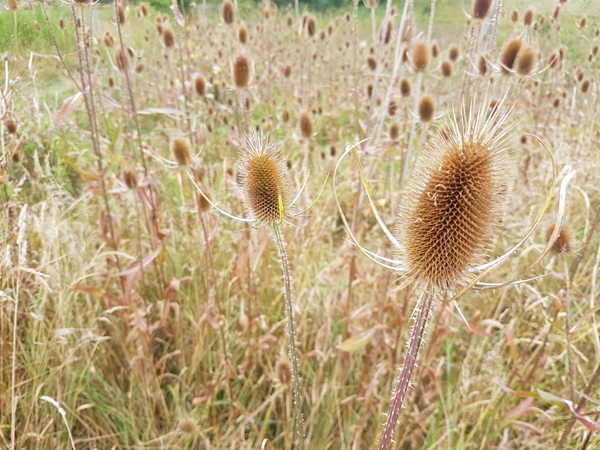 A big patch of teasels stands out in the sunny fall field. It’s the fifth and final day of the B&W challenge from AJ . Thanks AJ, you’ve pushed my comfort level a bit. I’ve also been given another B&W challenge that’s a bit different but more on that in a few days! 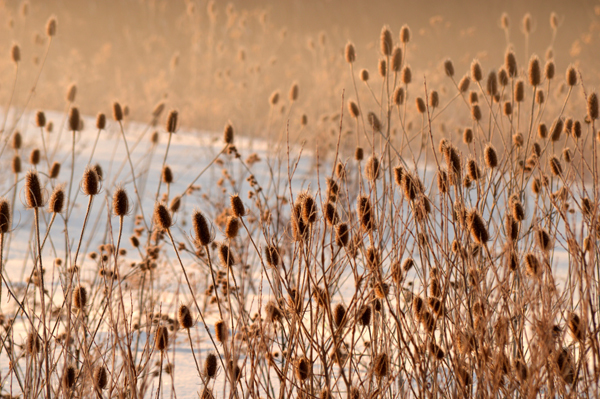 Today, I’ve picked an image of trees and teasels in a winter landscape. 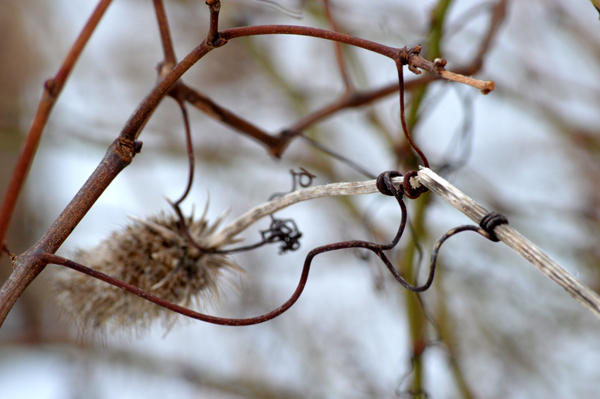 Our weather forecast is for continuing warmth and finally some above freezing temps after tonight and if this is true, it looks as though this icy grip will be taking a hike giving way to spring. 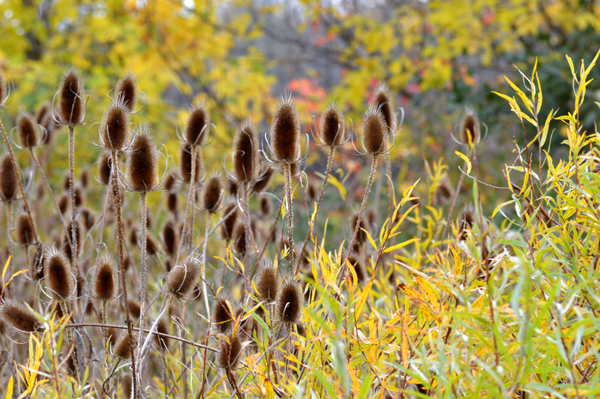 Brown teasels stand out in the fall landscape.